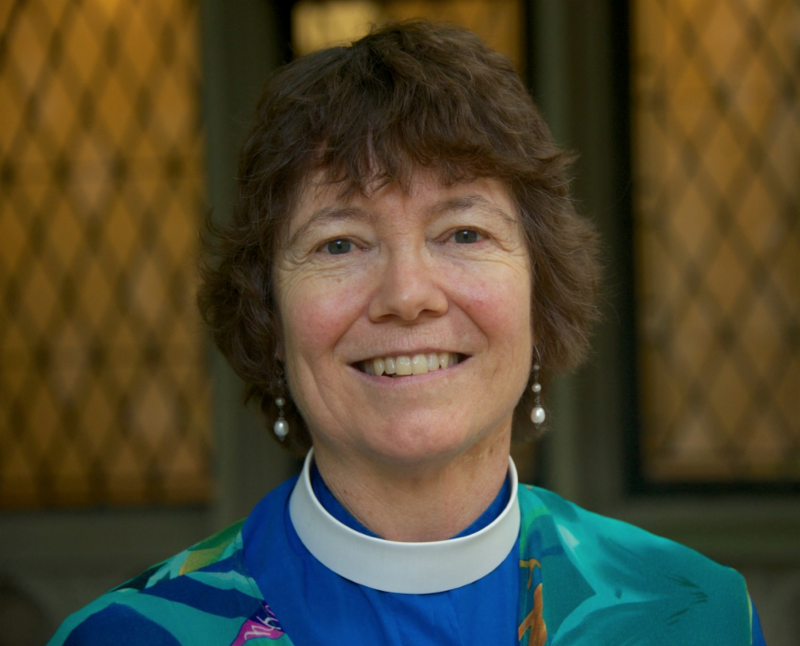 A special note to members of the Episcopal Diocese of Western Massachusetts: I am thrilled by the vote that was taken last weekend at our Diocesan Convention to pass the resolution, “Creation Care in Our Congregations: Living Lightly on God’s Good Earth.” This is an important step forward as followers of Jesus Christ take hold of our call to protect the web of life that God entrusted to our care. A glimpse of the Creation Care display at diocesan convention. 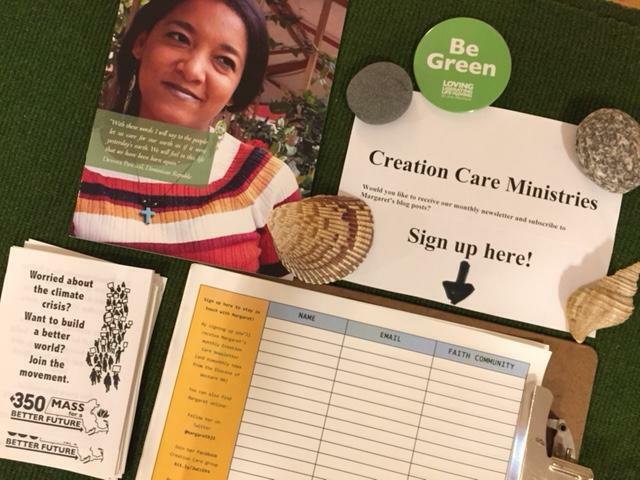 • The resolution calls on every congregation to form a Green Team – that is, to name one or more individuals to serve as liaison with me, our diocese’s Missioner for Creation Care. If you are reading this newsletter, you are probably called to this ministry! Starting a Green Team is very simple – here’s an article that will tell you how. Please consider this a personal invitation to consider taking up this role – and let your parish leadership know if you can say yes. We need you! • The resolution also calls on every congregation to conduct an energy audit, keeping in mind that grants are available from the Diocese to offset half the cost of the audit. Will you help to get that process started in your congregation? Details and resources are included in the resolution. people of faith we know the power of community. We know the power of visceral, expressive prayer. We know the power of silence and contemplative prayer. We know the power of nature to restore our souls. And we know, as Jesus knew, that God’s power, working in us, can do infinitely more than we can ask or imagine. Did you experience the Revival in Pittsfield and/or in Worcester? Wasn’t it wonderful? If you would like to be inspired afresh or if you wonder what’s next, do check out the website and video ! • The midterm elections are only days away. Many of us are engaged in political discussions with friends and families, colleagues and congregations. What is the best way to approach discussions about voting and climate change? How can we open up this conversation and explain why we’re voting for climate solutions candidates? Take a look at EcoAmerica’s talking points for October, “ Talking About Voting and Climate Change .” And please vote on November 6 for the candidates that in your view have the strongest, clearest position on how to address climate change. • In the aftermath of September’s natural gas pipeline explosions in the Merrimack Valley, please sign a 350 Mass. for a Better Future letter to Governor Baker , asking for a moratorium on new gas projects until a thorough investigation of what caused the tragedy has been completed and until an investigation of the vulnerabilities in our Commonwealth’s aging gas infrastructure has been carried out. • Thank you for your prayers, care, and action on behalf of your brother and sister beings, some of whom are human! Amherst, MA. November 3, 2018. Come learn how your House of Worship can lower energy costs and reduce its carbon footprint. Sponsored by the Massachusetts Conference of the U.C.C. The Sojourner Truth School for Social Change Leadership offers classes to individuals and groups with the goal of promoting and facilitating the skills required to build a movement. The School teaches the organizing skills necessary to equip people..